M-1 Global has just announced that WAMMA heavyweight champion Fedor Emelianenko will compete in an exhibition grappling match against Shinya Aoki during the M-1 Challenge event in Japan on Wednesday. According to the press release, the rules for the grappling match have yet to be ironed out as both sides are still negotiating the terms. The Fedor/Aoki grappling match will be part of a 19-bout event which will be promoted by M-1 Global. 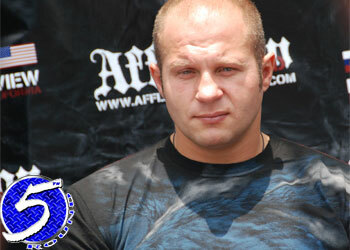 It will be Fedor’s first action since dispatching of Andrei Arlovski on January 24th.